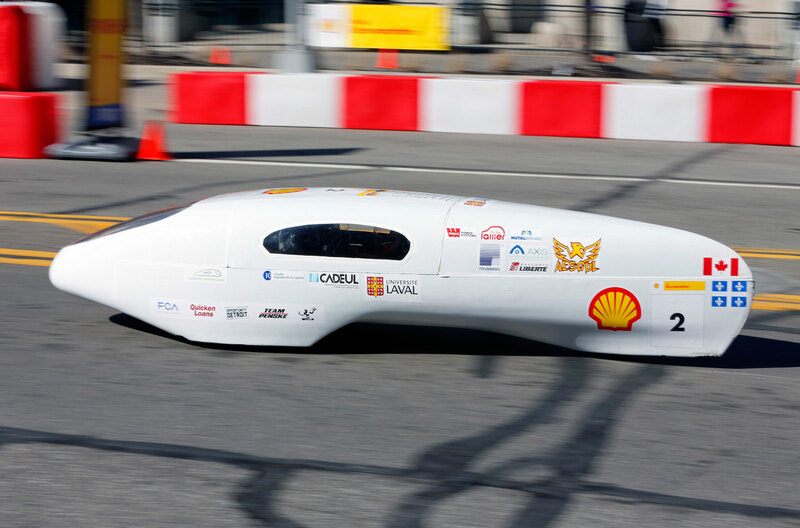 If history is any indication, two Canadian teams are gearing up for what is expected to be another close competition at Shell Eco-marathon Americas 2017, taking place April 27-30 in Detroit, Michigan. Alérion Supermileage from Université Laval and Supermileage Team from the University of Toronto have both previously taken top spots in the prototype gasoline category for fuel-efficient vehicles. Last year, the Laval team earned a fuel-efficiency score of 1,099 kilometres per litre. The year before that, the team from Toronto managed to unseat them, earning a fuel-efficiency score of 1,454 kilometres per litre. However, Laval still holds the record from 2013 with 1,525 kilometres per litre. Although results vary from year to year, these two teams have performed exceptionally well in their category. “The one thing that led to our success was that our team members pursued the research phase of our learning very passionately,” says Mengqi Wang, Supermileage Team co-leader and project manager. Her team didn’t make a successful run their first year, but they learned from that experience and took second place the following year. They custom-built an internal combustion engine tailored to the specific requirements of the competition, accounting for the size and weight of their vehicle, driving strategy, and the power output required for the type of track they competed on. 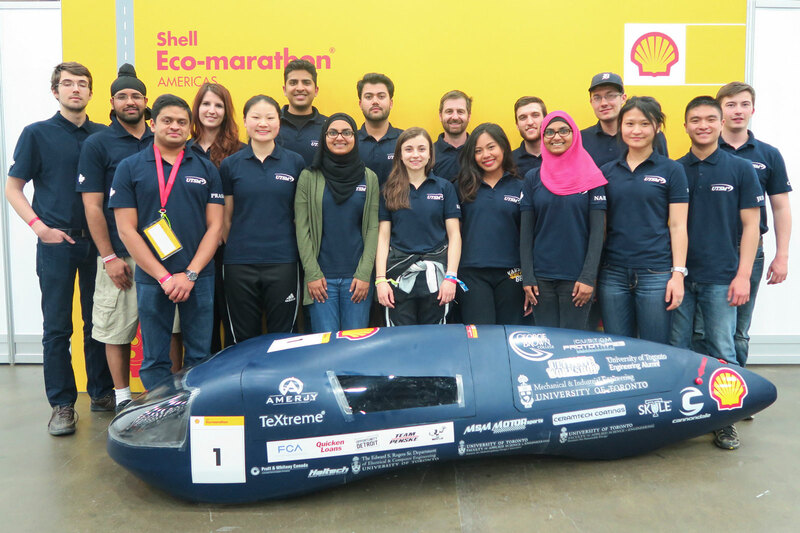 “The competition was extremely exciting because we did so well after not even placing at all the first year,” says Kristine Confalone, who co-manages the Supermileage team with Wang. She handles funding and sponsor outreach, and drives the team’s gasoline prototype. Confalone was initially recruited as a driver because she is only five feet tall, making her an ideal fit for the lightweight vehicle. The teams don’t have access to the track ahead of time so it’s only when they get to the competition that they can see the results of their hard work. Long winters make it difficult for most Canadian teams to do field testing if there’s still snow on the ground. At the competition, once everything is ready to go, the rest is down to the driver and the person coordinating the timing of their laps around the track. Driving strategy, like knowing when to speed up or slow down, can have a huge effect on overall performance. The competition itself provides a collaborative work environment, where teams share a communal space with over a hundred other design teams from across the Americas. This gives them the opportunity to talk with each other, ask questions, share ideas and discuss designs. Students benefit not only from the knowledge and specializations of their own teammates but potentially from hundreds of others. “It’s a great experience that allows us to meet other teams that have the same goal as us but have arrived at the finish line in different ways,” says St-Pierre. Passing on the knowledge they accumulate through these experiences can prove difficult for teams. Students don’t receive school credit for the time they’re putting in, and if it’s not directly related to what they want to do in the future, they tend to drop out. Retaining membership is not the only obstacle that teams face. Each student can find a way to use these experiences to benefit their education or help launch a career. Since there are many systems that go into making one vehicle, they don’t have to be passionate about car design specifically to be involved in the team. The project requires technologies that could be universally applied and skillsets that can be used for many other career trajectories outside of engineering.